I Can Freeze A Serrano Ham? Answer from our expert: Never, you must freeze a Serrano Ham. This causes the loss of its excellent qualities and its excellent taste. 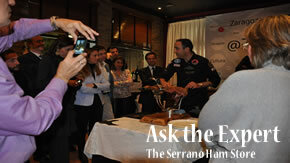 What type-quality of Serrano Ham you have tasted?